In the United States, there are two types of accreditation - institutional and specialized. Institutional accreditation looks at the entire institution. Specialized accreditation, such as COSMA, looks at a particular type of professional program at an accredited institution. COSMA reviews sport managements programs and evaluates how well the program educates students and prepares them for a career in the sport management industry. When programs are reviewed by COSMA, the focus is at the program-level - on its faculty, curriculum, linkages to business and industry, and more. It is the degree-specific program that holds accreditation, not the department or college in which it is housed. Eligibility for COSMA includes having institutional accreditation, so the institutional issues such as financial viability and resources are addressed. The Council for Higher Education Accreditation (CHEA) outlines Ten Ways in Which Accreditation Serves Students, Society, and the Public Interest. 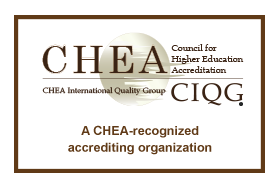 CHEA has also created an "Accreditation Tool Kit" for students, faculty, administrators, governing boards, etc. to find resources about accreditation easily.